Dijon mustard. Katz’s pastrami. Smoked sauerkraut…and everything bagel spice. Is your stomach growling yet? Now imagine all of this atop a wood-fired pizza, and drizzled with thousand island dressing. If this sounds like the bagel sandwich of your dreams on a pizza, it is, and it’s made in the Lower East Side. 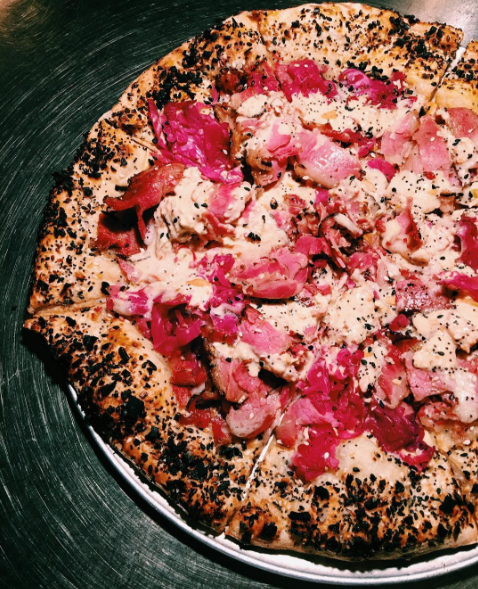 The Food Network recently shot video of this genius mashup by paying a visit to Speedy Romeo, a new-school pizzeria that takes inspiration from its Lower East Side and Bed-Stuy neighborhoods. 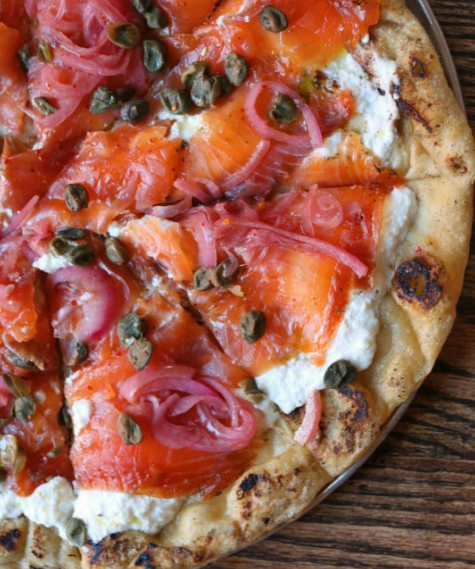 Chef Justin Bazdarich throws not one but two Jew-ish pies at his Clinton Street location — his standout brunch pizza, The Gravlax, is topped with mezcal-fennel-cured salmon, capers, and ricotta. If we’ve learned anything from the recent Jewish food mashups–everything bagel sushi, everything bagel donuts, babka ice cream sandwiches, and Jewish burritos, to name a few–it’s that chefs are playfully bringing elements of classic Jewish foods to unexpected places.